Loss, homecoming, romance, recipes, and magic mingle in this debut novel. Natalie Tan knows her mother has died when a bird sings Ma-ma’s favorite aria on her balcony, a glint of magical realism that then takes a while to resurface. 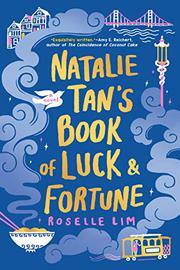 Natalie returns to San Francisco’s Chinatown to plan the funeral and grapple with her resentment toward the community she felt didn't help her when she was growing up with a mother who suffered from depression and agoraphobia. Ma-ma herself caused a seven-year rift with Natalie by opposing her wishes to become a chef. But the Chinatown to which Natalie returns is changed in many ways. Some for the worse: Business is down everywhere; the place is in disrepair. But some for the better: Natalie begins to bond with the neighbors who cared for Ma-ma in her absence. And she learns that her grandmother’s restaurant—shuttered after her untimely death—is now hers to run. A local friend and seer tells her she must cook for and help her neighbors before she can successfully open the restaurant; here the magical elements return. Serving dishes chosen from her grandmother’s recipe book for their promised effects, Natalie watches miracles unfold. In one instance, cracks form in the eaters’ faces and are filled with gold, patching up their relationship. Of course a perfect suitor arrives, drawn by the scent of dumplings. And of course all Natalie's progress must fall apart in order for her to find her inner strength and put it back together. While the plot is timeworn, the book is distinguished by the love Lim shows the neighborhood, the characters, and the food.